Though the economic recovery has been good to them, the Top 1% are still earning less than they did nearly a decade ago. 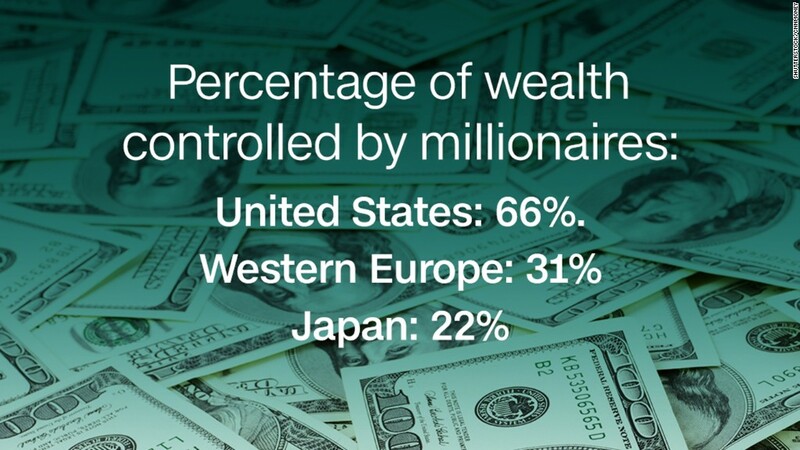 The average income of this elite group was $1.36 million in 2015, according to newly updated data from Emmanuel Saez, an economics professor at the University of California, Berkeley. That's 12.6% less than it was in 2007, when it hit $1.56 million. While the Top 1% have enjoyed strong income growth in recent years, they were hit hard during the recession -- particularly by the collapse of the stock market. Their average income fell to $992,892 in 2009. Related: How much does it take to get into the Top 1% where you live? Of course, this may not elicit a lot of sympathy from the rest of America, whose average income remains nearly 5% below its pre-recession level. The bottom 99% had an average income of $48,768 in 2015, down from $51,280 in 2007. There is good news for the bottom 99%, however. After watching their income barely budge for years after the economic collapse, they are enjoying their second year of gains. Their average income rose 3.9% in 2015, the best growth in 17 years. For the two years ending in 2015, their income is up 6%. But the Top 1% beat them yet again. Their income grew 7.7% in 2015 and nearly 20% over the two-year period.